Academy award nominated John Debney (born in Burbank, California, United States, 18 August 1956) is considered one of the most sought after composers in Hollywood. His unique ability to create memorable work across a variety of genres, as well as his reputation for being remarkably collaborative, have made him the first choice of top level producers and directors. Debney combines his classical training and a strong knowledge of contemporary sounds to easily adapt to any assignment. Debney's career seemed almost destined for Hollywood. The son of Disney Studios producer Louis Debney, John grew up in nearby Glendale, Calif. where he began guitar lessons at age six and played in rock bands in college. Debney earned his B.A. degree in Music Composition from the California Institute of Arts (1979). After college, Debney's professional entry into the business came from television composing legend Mike Post (Magnum P.I., The Rockford Files, Law and Order) who gave the young composer his start. Debney furthered his hands-on training by working with Hanna-Barbera composer Hoyt Curtin. With this experience under his belt, Debney went on to score television projects as diverse as Star Trek: The Next Generation, A Pup Named Scooby-Doo and Sea Quest DSV, for which he won an Emmy for Best Main Title. In the early 1990s, Debney began to score films for indie projects. In 1993 he secured his first studio feature, the Disney comedy Hocus Pocus starring Bette Midler. Debney has proven his versatility with films ranging from blockbuster comedies such as Elf, Liar Liar and Bruce Almighty, action adventures like The Scorpion King and Spy Kids (1 & 2) to dramatic features including I Know What You Did Last Summer and Sin City. Although Debney had built an industry reputation as a talented composer, it was in 2004 that the rest of the world discovered him. Blending symphonic orchestra, a wide range of world instruments and the beauty of the human voice, Debney composed the landmark score for The Passion of the Christ. Strong in his faith, Debney was enticed by the idea of working on a project that held deep, spiritual meaning for him. The Passion of the Christ became one of the top ten box-office grossing films of all time, and his emotional score for the film connected with viewers and listeners and debuted on Billboard's charts at #1 on the Soundtrack and Christian Album charts and #19 on the Billboard Top 200. The record was certified gold by the RIAA and won the Dove award for Best Instrumental Album. The score was nominated for an Oscar in 2005. In July 2005, fresh off his success with The Passion of the Christ, he premiered The Passion of the Christ Symphony in Rome, Italy. The performance featured an 83-person choir and a 96-piece orchestra, and included special guest vocalist Lisbeth Scott and woodwind soloist Pedro Eustache, plus solo musicians from both the film and the classical worlds. The symphony was a success with the audience erupting into a 15-minute standing ovation catapulting Debney's success not just in Hollywood but worldwide. For his most recent scores, Debney has enlisted world-renowned musicians, including violin virtuoso Joshua Bell on Dreamworks' score for Dreamer and trumpet legend Arturo Sandoval on the upcoming OutKast musical Idlewild. His upcoming projects include Sin City 2 & 3 starring female box-office powerhouses Jessica Alba and Rosario Dawson, Evan Almighty, starring Steve Carrel and Morgan Freeman and animated feature Ant Bully. 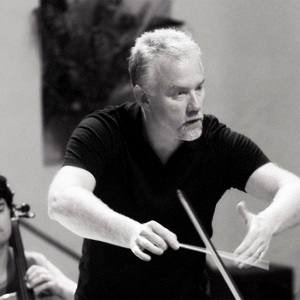 In the tradition of classical composers, John Debney enjoys conducting his own work. "A big part of the joy in what I do is that I consider it an honor to stand in front of live musicians and have the opportunity to hear my music played by these talented people." In addition to conducting some of the world's greatest orchestras performing his original works, Debney also conducted the Royal Scottish National Orchestra on a series of classic film scores for Varese Sarabande Records. He has been celebrated for incorporating a myriad of musical styles and techniques into his work, from contemporary beats to ancient instrumentation. Only in his forties, Debney received ASCAP's prestigious Henry Mancini Lifetime Achievement Award in 2005. As director Robert Rodriguez perfectly described it, "It's not the years, it's the mileage".